A symposium on “Socialism with Chinese Characteristics” – this was the official title – took place at the University of Vienna on 23 July. 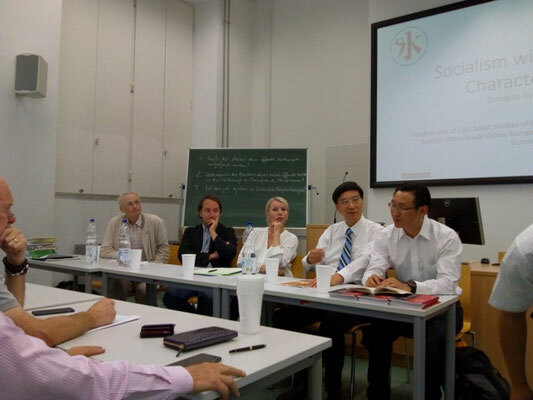 This symposium was jointly organized by the World Association for Political Economy (an association initiated by the Chinese Academy of Social Sciences and which holds annual conferences), Transform (this is the think tank associated with the ex-Stalinist, left social democratic “Party of the European Left” which includes, among others, the LINKE in Germany, the PCF in France and SYRIZA in Greece), the Department of East Asian Studies of the University of Vienna and the China Study Group Europe. This symposium was part of a visit of about 50 Chinese university professors to Europe. The main introduction, as well as the central replies to questions, was made by Professor Cheng Enfu who is the Director of the “Academic Division of Marxism Studies” at the Chinese Academy of Social Sciences. He is furthermore a member of the Education and Science Committee at the National People’s Congress of China (i.e. China’s “parliament”) and the chair of the World Association for Political Economy. Unsurprisingly, all Chinese professors who spoke emphasized the successful advance of China’s “socialist market economy”. They claimed that while the market was expanding and there are meanwhile 16 million private entrepreneurs, the “public sector” and state-led guidance of the economic development remains the dominant factor. As the Revolutionary Communist International Tendency (RCIT) has elaborated in various studies (see below), this “public sector” is, in reality, a state-capitalist sector. On one hand it operates itself on the principle of profit-maximising and as a result many millions of workers have been sacked and wages slashed. On the other hand, the state-capitalist sector has served for many years in order to advance the formation of a private property-owning capitalist class. 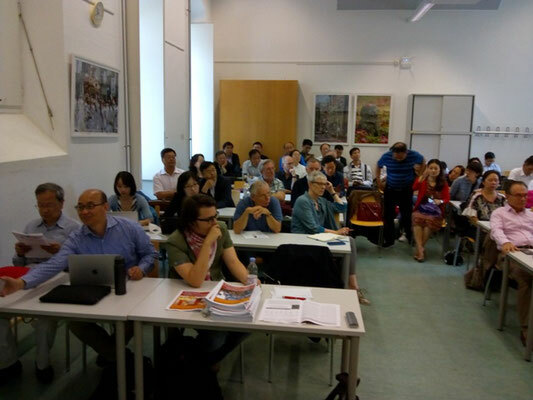 The symposium was dominated by speeches and contributions by several Chinese professors and, as a result, there was very little time for contributions from the audience. 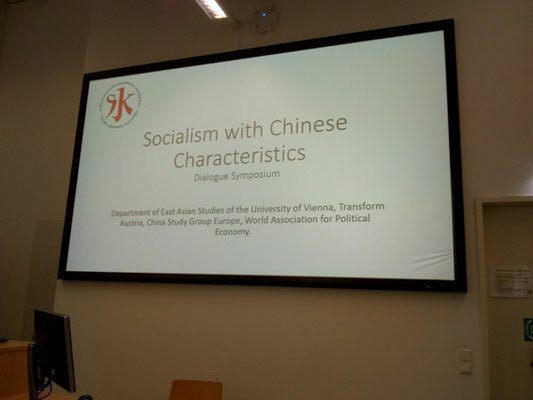 In addition to some brief questions asked by participants, Michael Pröbsting, International Secretary of the RCIT, could made a contribution challenging the uncritical appraisal of the “Socialism with Chinese Characteristics”. He pointed out that China has become No. 1 among the world’s billionaires ahead of the U.S. (according to the Chinese Hurun Institute) and No. 2 among the Top 2000 global capitalist corporations (behind the U.S. and ahead of Japan and Germany). Comrade Pröbsting also referred to China’s role as an imperialist power in poor semi-colonial regions like Africa. 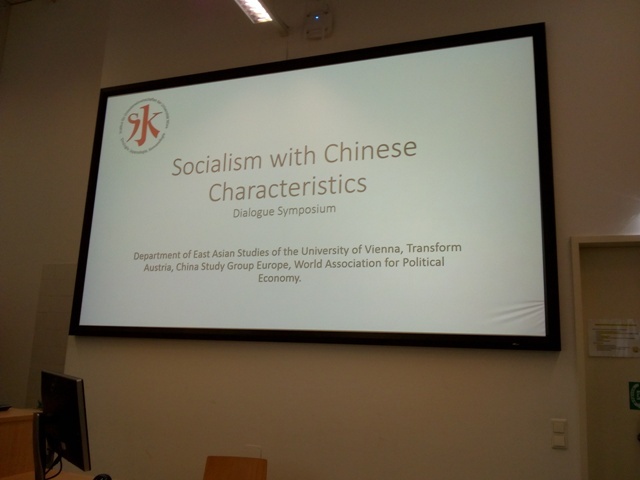 He concluded that the title of the symposium should not be “Socialism with Chinese Characteristics” but rather “Capitalism with Chinese Characteristics”. Comrade Pröbsting’s contribution was translated into Chinese language. Unsurprisingly, Professor Cheng rejected the criticism of comrade Pröbsting in a lengthy reply. The debate provoked considerable interest in the Marxist critique of China’s capitalism. 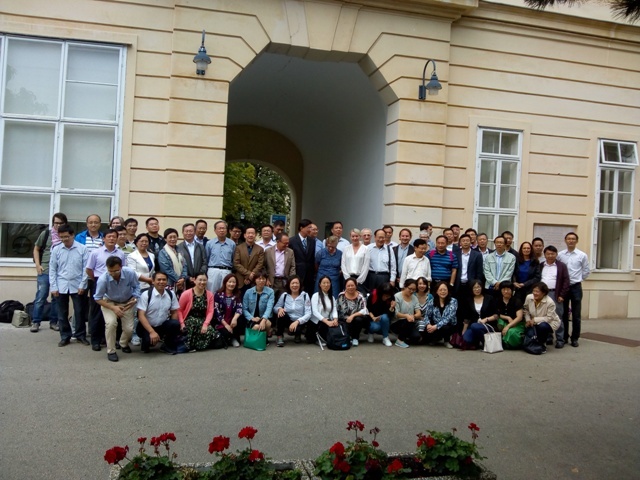 As a result, a number of Austrian and Chinese participants of the symposium approached RCIT comrades after the meeting and bought copies of our journals. We have published a video of comrade Pröbsting’s contribution as well as of Professor Cheng reply. 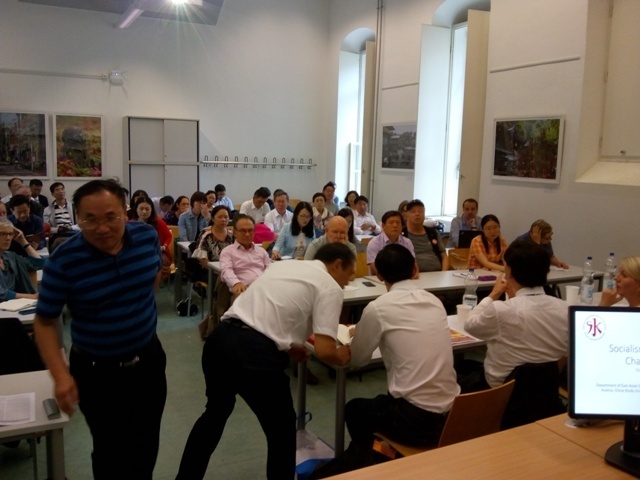 Pröbsting’s contribution was held in German language and translated into Chinese language while Professor Cheng reply was held in Chinese language and translated into German language. However, in the video we have inserted English-language subtitles for both contributions. View pictures of the symposium as well as the video below.